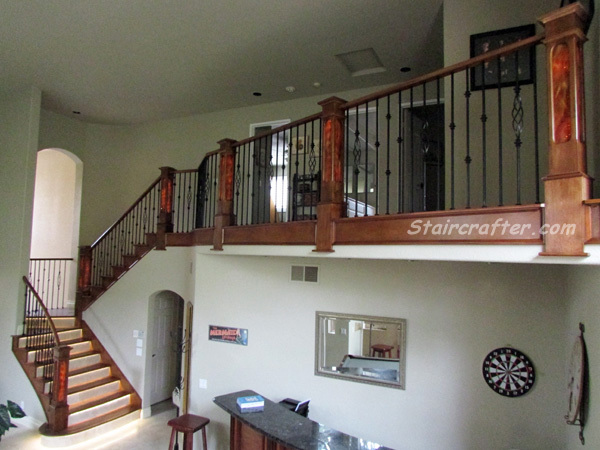 This Stair Remodel has one of the most dramatic before/after pictures. 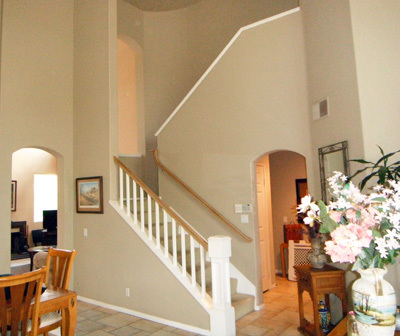 With the removal of the pony wall at the top of the staircase this house doesn't look like the same house. After we removed the wall the newly remodeled staircase draws the focus as you enter the house. 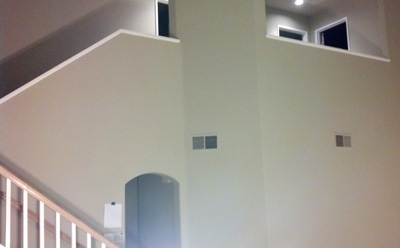 We installed wooden handrails and lighted wooden newel posts, balcony skirts, panel moulding and stair treads. The stairs and top floor have new wood flooring to match the handrail. The decorative iron pattern is a custom basket pattern created to match the decor of the interior of the house.